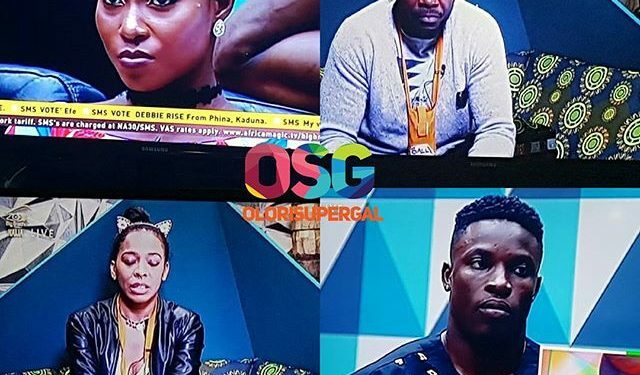 Big Brother Naija Week 10: Who Goes Next After Bassey? 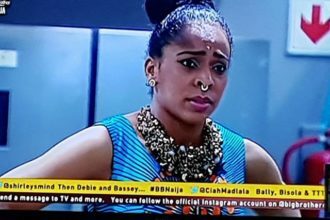 Big Brother Naija reality show has entered it’s tenth week, setting up yet another time to get anxious of who goes out next. 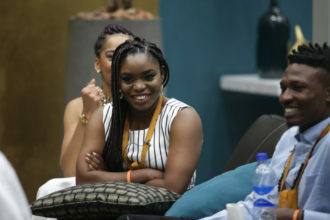 Bisola was this afternoon announced as the new head of house (HoH) for the week, after hitting what could be described as a “game of chance” ahead of rival TBoss and other housemates. Debie-Rise nominated Efe and Marvis. Bisola -Nil (the new head of house wasn’t to be nominated by the housemates this week). Whereas, Biggie had earlier said the HoH (Bisola) won’t be able to rescue anyone for this week, Biggie later changed his mind. So, Bisola removed Efe and replaced him with Bally. By this, TBoss, Debie-Rise, Bally and Marvis are up for eviction this week. Certainly one housemate will be going home on Sunday. To save your favorite housemate, viewers in Nigeria should text the word “Vote” followed by the housemate’s name to 32052. While for the rest of Africa, follow the AfricaMagictv official account on WeChat and click on the menu option ‘BBNaija’ and select your preferred housemate. Voting opens today Monday 27th March and closes at 20h00 WAT on Saturday.